Did you know garage doors can weigh more than 400 pounds? Opening and closing the garage door is a very common occurrence; however, this does not eliminate the fact that it can cause harm if any part of the operation is broken. In some cases, the garage door operation can be lethal. The US Consumer Product Safety Commission board reports over 30,000 people are injured by broken or faulty garage door systems every year. This statistic only includes injuries that required professional medical attention, but there are thousands of other incidents that go unreported every year. This may have you evaluating your current garage door system and its safety at this very moment. It is important you hire a trained, educated, and skilled team to install or repair your garage door. Proper installation and regular maintenance is the best way you can prevent unexpected injuries. Hire our team to perform a test and inspection to make sure your operation runs smoothly. You can perform your own at-home inspection before you call us. Observe your garage door as it opens and closes. Is it really noisy? Is there any jerking or unnatural movement during the process? This could indicate the need for a repair. There are many useful resources online from your garage door manufacturer if you’re interested in performing a simple inspection. In addition, you can follow our tips for a visual inspection, lubrication, and door balance assessment. Look at the springs, cables, rollers, pulleys, and other hardware for signs of wear and tear. If anything looks rusty, worn down, or broken, call us immediately. Do not try to repair springs or cables without proper training. These parts of the operation can cause much harm and injury because of the high tension. Make sure you have a safety cable on all extension springs. Don’t remove, adjust, or loosen screws at the bottom of the door. Your garage door, like other mechanical devices, needs proper lubrication. You can lubricate the moving parts of the door with a silicon-based spray only. Don’t lubricate plastic rollers and bearings. Start with the door closed. If you have an opener, use the release mechanism to operate the door by hand during the test. You should be able to lift the door smoothly and without much resistance. It should stay open three or four feet above the floor. If it doesn’t, it needs an adjustment. As a responsible homeowner, set aside time each month to do a few safety tests. Review your owner’s manual for the door opener. If you no longer have the manual, you can use the serial number on the back of the power unit to look it up online. Push the button on the remote or wall to close the door. The door should reverse when it strikes the paper towels. 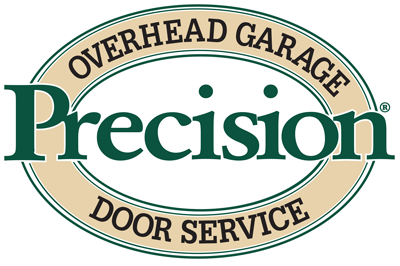 If the door doesn’t reverse, call Precision Garage Door of Salt Lake City to determine the exact problem. Test the force setting of a garage door opener by holding the bottom of the door as it closes. If it doesn’t reverse readily, the force may be too much and needs an adjustment. Your owner’s manual should have instruction to make the adjustment. As always, we are here to help you whenever you need us. Our services are available 24/7 for all garage doors in Salt Lake City! Stay safe, and we look forward to serving you soon!